What is a historic preservation easement? A preservation easement is a voluntary legal agreement that protects a significant historic, archaeological or cultural resource from alteration or destruction. It provides assurance of protection through subsequent owners who will be subject to the restrictions contained in the easement. The easement is recorded with the deed and runs in perpetuity. 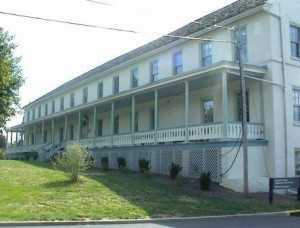 The Historic Preservation Trust of Lancaster County is a qualified easement development, accepting and monitoring organization. The stewardship fee for establishing an easement is base on the property's square footage and funds the on-going management of the easement by the Preservation Trust. 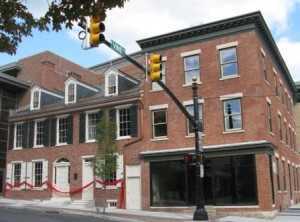 Protected with a historic preservation easement: The homes/offices of Pennsylvania Congressman Thaddeus Stevens (1792-1868) and his business partner Lydia Hamilton Smith (1815-1884) were saved from demolition. 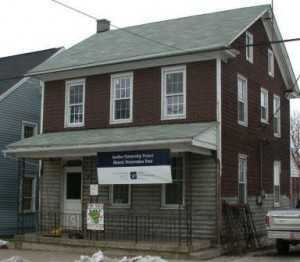 The Historic Preservation Trust led the initiative. Stevens, whose house/office is pictured above, was portrayed in the movie "Lincoln" by Oscar winning actor Tommy Lee Jones. Note: The information provided here is intended to convey general guidance; because easements are legal tools defined by state law (and affected by federal law, if federal tax incentives are sought), the advice and assistance of a knowledgeable lawyer or financial professional should be sought. The Preservation Trust does not provide legal or tax advice. 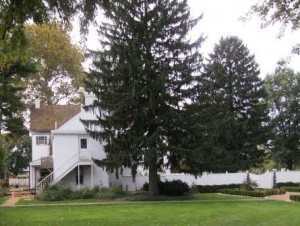 Protected with a historic preservation easement: The Conestoga View Almshouse (1799) is the oldest almshouse in the United States. An almshouse is a private charity home for the poor, often the elderly. 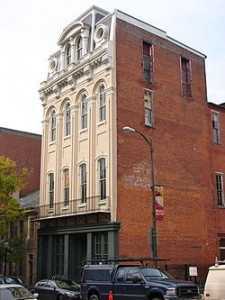 According to IRS regulations, a property must either be currently listed on the National Register of Historic Places or be located in a registered historic district and certified by the U.S. Department of the Interior as being historically significant to the district in order to be eligible for potential tax deductions. If tax deductions are not a consideration, easements may still be established on historic properties. Contact the Preservation Trust at 717-291-5861 for more details. Protected by a historic preservation easement: White Chimneys (1720, 1790, 1807 and 1923) in Salisbury Township is where the French General Marquis de La Fayette (1757-1834) visited enroute to Lancaster in 1824.
own a historic building and want to save on taxes. are the developer of an investment tax credit project. Tax advantages from the easement may significantly increase your investment now or provide additional tax benefits after the five year "recapture" period. want to keep a property in the family instead of selling it to pay burdensome estate taxes. 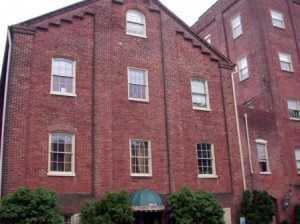 are a condominium owner of a historic building, a developer of projects that also preserve open space or the owner of small historic buildings used for professional offices, shops or apartments. In many cases, an easement property owner may deduct the value of the easement, for up to 30 percent of the taxpayer’s adjusted gross income, from federal taxes. Any excess value may be carried forward up to five years. The value of an easement is based on the difference between the appraised fair market value of the property prior to establishing an easement and its value with the easement restrictions in place. A property that is assessed based upon its easement-restricted use rather than at its potential, fully-developed use could result in a lower tax rate. A tax attorney or accountant should be consulted. North Shippen Place (1920), a downtown condominum complex, is protected by a historic preservation easement. Every easement is specially tailored to meet your specific needs. This process often enhances the value of a protected historic property. Marketability of the property need not suffer due to an easement. Historic preservation easements are the only legal protection available to preserve a historic property in perpetuity. National Register listing or other honorary designations do not protect your property. However, the combination of possible financial incentives along with the Preservation Trust’s individual design of each easement help to ensure lasting protection of your valuable historic resource. Has the property been designated as historically significant through a National Register listing? Is the property in a registered historic district? Are there local or state tax benefits to donating an easement? What are the financial implications of donating an easement? Would public access be required to claim a federal income tax deduction? Does the easement-holding organization charge the property owner a stewardship fee to cover administrative and yearly monitoring costs incurred by accepting the easement? Does the easement-holding organization have the time and resources to monitor the terms of the easement? How specific will the easement need to be in order to protect the property? 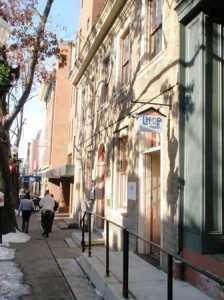 Excelsior Hall (1854-1873) in the City of Lancaster is protected by a historic preservation easement. 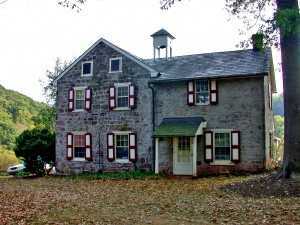 Bausman Farmstead (1775, 1836, 1869 and 1879), Lancaster Twp. Bowmansville Roller Mill (1850), Brecknock Twp. Franciscus-Carpenter House (circa 1750), E. Lampeter Twp. Hopeland Farm (1867), Elizabeth Twp. 1145 Reading Road (1840), Brecknock Twp. White Chimneys (1720, 1790, 1807 and 1923), Salisbury Twp.